I am pleased to share that I will be presenting papers at two different conferences. This paper is based on the writings of Ted Aoki, the Japanese-Canadian scholar at the forefront of the re-conceptualized movement within curriculum theory. One possibility implied in Aoki’s work is inhabiting the space in-between technology and theology. As Aoki might ask: how we can linger on the bridge between technology and theology? The purpose of using the bridge metaphor, is to bridge technology and theology, to discern curriculum as techno-theological text. A reframing of this question is whether we can be in a mode of technology without defaulting into instrumentalization. This paper, then, is an attempt at making sense the multiple ways in which the words technology and theology can be understood within an Aokian framework. I’ve been developing the ideas of curriculum as technotheology for awhile, and Ted Aoki is a wonderful curriculum theorist who speaks into both the theological and the technological. Hopefully I will get some constructive feedback and some great discussion. If you’re down at AERA, my session is on Thursday, April 16, 12-1:30pm at the Hyatt, West Tower – Green Level, Crystal B. For more info, go to this link. In May, I will be participating in a 2-day symposium on the Significance of Study, held at UBC. I will be acting as a discussant, responding to Alan Block, Professor from the University of Wisconsin, who will be reading from a paper, titled, Study as sacred. I am excited for this opportunity as Block has written in the area of religion, theology, and education. For more info, here’s the website. I had the privilege of participating in the CACS 7th Biennial Provoking Curriculum Conference at UBC. As indicated by the title of the conference, the purpose was to provoke curriculum studies by attending to the multiple denotations of provoke: to stimulate, arouse, elicit, induce, excite, kindle, generate, instigate, goad, prick, sting, prod, infuriate, madden, ruffle, stir, and inflame. In the second decade of the 21st century, to ask the question “how do we learn?” is to ask questions of “how we learn media and technology across the lifespan” (HWL). Formal educational systems are challenged by 21st century learning while researchers are challenged to document cognitive implications of new media and technologies. Over the past decade, our research program has empirically explored problems of learning media and technology across the lifespan. Our field and lab investigations focus on the problem of how (not whether) new media and technologies affect learning across the lifespan. With a core of graduate students, our research team has been immensely productive and original in reconceptualizing cognition, learning, media, technology, and their interdependencies with curriculum. This panel focuses on Design-Based Research (DBR) 2.0 methodologies. The key objectives of this panel are 1) to profile methodological advancements and insights in DBR derived from lab and field-based studies; 2) to prompt discussion on DBR in context of new technologies and the design turn in DIY or maker culture. Providing empirical examples, this symposium introduces advancements in DBR and connects interest in DBR with understandings of design and engineering cognition. The format will be conversational and demonstrative, beginning with a series of focus questions to generate interest and audience discussion. A series of demonstrations of DBR will be provided as examples and to provide depth of understanding. The overall goal is to provoke new understandings of methodology in context of design-based research 2.0 into curriculum, media, technology and learning. In many ways, curriculum, technology, and theology emerge coincidentally or contemporaneously within Homer, specifically within the Iliad and Odyssey. The three are somewhat conceptually interrelated in Homer and subsequently Hesiod. In Homer, the concepts, practices and words are given their ancient meanings. Medieval and modern derivatives and meanings are in some ways are quite similar and in other ways distinct from ancient Homeric and Platonic uses. Our premise is that curriculum, technology and theology are co-emergent— mutually interdependent. We do not have one without the others. This is not merely semantics. By acknowledging these interdependencies we can begin to provoke and understand curriculum anew. This panel provides three perspectives and papers on TechnoTheoCurriculum. The first paper, “On the History and Metaphysics of Curriculum,” describes ancient encounters with curriculum, technology, and theology as they co-emerge. Inasmuch curriculum refers to the loneliness of the long distance runner, it also refers to the Circum Maximum, Maxime Circe, or the Circus Maximus, referencing chariots and conjuring up a complex technotheological infrastructure. The second paper, “Understanding Curriculum as Technotheological Text,” provides a history of a late medieval and early modern re-emergence of curriculum and technology in a Protestant and Calvinist culture at the hands of Peter Ramus. This paper traces Ramist interdependencies of curriculum, technology, and theology through the seventeenth century in the work of William Ames and technometry. The third paper, “On the History of Hermeneutic Techniques,” traces a circle from twenty-first century understandings of curriculum, technology and theology through Augustine’s City of God. 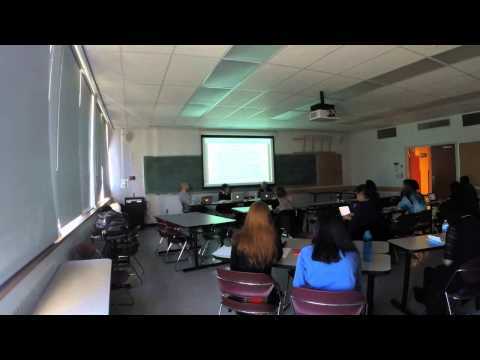 And finally, just for fun, here’s a timelapse video of our technotheocurriculum session. In a Time article, titled, This is Why Religion is Just a Technology (published July 25, 2014), I was first introduced to Irwin Kula, an eighth generation Rabbi. The article would introduce Kula, a progressive Rabbi who would be among the speakers at the BIF – a Business Innovation Factory conference. In the TIME article, Kula asks, “what would happen if we applied innovation theory to religion, to compress the resources it takes to create good people?” In his talk, Kula explains how he is going about researching this questions. He is conducting a study on religious traditions in America where people are asked “what is the actual impact on the user” and “what is the actual impact on the person in their life.” His research questions include, will gratitude increase? Will hope increase? Will a sense of belonging increase? Kula’s research should appear in a peer reviewed article in Jan/Feb 2015 which would have implications for the business model and pedagogical model of religious practices, as he is attempting an empirical analysis into his definition of human flourishing. As Kula is speaking to a business audience, he suggests the development of “accountability technologies” as there is no more God in the sky as the overarching seeing eye may be replaced by the technological surveillance eye, or perhaps a spiritual sense of inner seeing eye, being accountable to our communities. While Kula’s research is indeed interesting and merits further investigation, his ‘practical suggestions’ and general posture seem to veer towards what David Noble calls, the religion of technology. It may be that his research is perpetuating the religious fervour for a technological utopia which may include spiritual rituals mediated through accountability technologies. Of course, this discussion would be greatly clarified and further enhanced once his research article comes out and his notion of human flourishing is clarified. In an article published by TED, titled, Why we need a secular sabbath, Iyer outlines the core concept of his book – that there is an urgent need to slow down, to rest, to find sabbath in our lives. He notes that many businesses, particularly tech companies such as Google have created spaces, schedules, and/or work cultures to promote mindful rest. Intel experimented with a ‘quiet period’ of four hours every tuesday, in which all engineers and managers were to refrain from e-mails, phones, and meetings for four hours, creating space for ‘thinking time.’ General Mills has meditation rooms throughout its campuses. Kevin Kelly (founder of Wired magazine) and many others in Silicon Valley practice an “internet sabbath” every week. How then, can Iyer limit the sabbath to a secular time and space? One reading of Iyer may be to limit practical forms of sabbath by removing all connections to the religious or spiritual. The case of transcendental meditation (TM), a form of mantra meditation, offers an example of just how complicated it may be to claim such practices as religious or non-religious. While many of its practitioners claim TM is non-religious, it “unsuccessfully fought a legal action to defend itself from being declared a religion in New Jersey” (Wallis, 2003, p.54). The secular thesis merits further study as, in this case, it co-opts the religious practice of sabbath rest and delimits secular boundaries for the general populous. One voice to consider is Charles Taylor, who describes the secular as a theological distinction which privatizes transcendent experiences, redefines belief, or making unbelief in religion a possible reality (Taylor, 2007, p. 3). Secularization, for Taylor, is therefore a theological construct with its own conditions of belief, as one among many new religious subjectivities in the modern world that is characterized as individual spiritual fulfillment of the self (Taylor, 2007, pp. 508-510). This privatization may be another way to read Iyer, in that sabbath practices are necessary for all, yet forced to the private sphere. We continue to wonder, to ask, to reflect on how the idea/belief/practice/enactment of sabbath has become a secular sabbath? Or at least, how did Iyer come to frame his book with this particular narrative? This story is further complicated with other actors and actants: TED, Kevin Kelly, e-mail, Google, the Bible, God, Sabbath, sabbath, sabbath-ing, and sabbath-ness. While this can immediately be framed as an ANT problem, I am thinking, a way to go about this issue is from Day Reconstruction Method (DRM), questioning and problematizing the daily routines and subjective well-being of those who practice a form of sabbath keeping. In this way, perhaps some data can emerge within this network of the technotheological. Wallis, R. (2003). Three types of new religious movement. In L. L. Dawson (Ed. ), Cults and new religious movements: A reader (pp. 36-58). Malden, MA: Blackwell. For Law, there are a multitude of goods generated by method assemblages. This means ‘truth’ is no longer the only arbiter, not the only good. Politics as a good, for instance, is about how to achieve better social and non-social arrangements, in which we can judge its products politically. Certain things can be made more political. Similarly, there is the good of aesthetics. What counts as beauty can be arranged more probable, or stronger, or made more real. In this post, we are particularly interested in the spiritual as a good. Law offers two case studies of the spiritual: Quakers and the Australian Aborigines. They offer a glimpse into a world “permeated by the spiritual, and who participate in assemblages that enact its realities” (p. 150). Their spiritualities, or using Law’s terminology, inspirations, suggest three considerations. First, like the other goods of truth and politics, we cannot insist that they are the only goods, else this becomes spiritual reductionism/religious fundamentalism. Second, these spiritualities/inspirations are enacted in their specific contexts and cannot/should not be generalized across all of the spiritual. Third, we must consider whether these goods would, should, or always must be enacted. Instead, there is a temporal, or partial connection in this fractal view of world-making that re-orders the world. 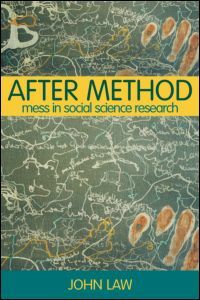 For Law, method as we understood it (from a Euro-American perspective) has created a duality in which much is hidden, or becomes Othered into a kind of hinterland. Instead, his conceptualizing of multiple goods allow for different partially connected goods to be made and remade. Truths and politics, aesthetics, and spiritualities “are variously woven together and condensed at particular moments, and partially separated at others” (p. 151). The suggested image is one of choreography, a dance, or of weaving. And so, Law responding to Haraway’s observation about choosing the good of cyborg over that of a goddess, will suggest that both goods are found in this great dance, partially connecting and separating at times, enacting alternative methods that is more generous, more modest, and perhaps more technological AND spiritual at the same time. Haraway, D. J. (1991). A Cyborg Manifesto: Science, Technology and Socialist Feminism in the Late Twentieth Century. In D. J. Haraway (Ed. ), Simians, Cyborgs and Women: The Reinvention of Nature (pp. 149-181). London: Free Association Books. Forget wearable tech. The pioneers of our”post-human” future are implanting technology in to their bodies and brains. Should we stop them or join them? While Haraway’s metaphor of the cyborg may be more congruent with post-gender discussions, the cyborg project is becoming a dominant discourse in its framing of fluidity and hybridity. Certainly, the cyborg is a thoroughly techtheo discussion and warrants thoughtful consideration. More to come as this blog resets. Since 2006, a number of high-profile religious accommodation cases have given rise to a profound discomfort in Quebec. To maintain social peace and promote harmony, we must prevent tensions from growing. Clear rules on religious accommodations will contribute to integration and social cohesion. They will benefit all Quebecers, including newcomers. We will be best served by a state that treats everyone the same. Contributions by Quebecers of all origins have enabled us to build an open society that shares fundamental values. These values defining Québec society and constituting a form of social contract are, among others, equality between women and men, religious neutrality of Québec’s public institutions, and recognition of a common historic heritage. By affirming these values, we are proposing to build a strong Québec identity, whether one was born here or elsewhere. The state has an obligation to be neutral, which is an essential condition to ensure freedom of conscience and religion. The best way to respect everyone’s beliefs is for the state to remain neutral and have no religion. This principle promotes pluralism by ensuring fair and equal treatment of all beliefs. We propose to entrench the religious neutrality of the state and the secular nature of public institutions in the Charter of Human Rights and Freedoms. The Charter would also include a framework of rules to oversee ac-commodation requests. It would outline the conditions under which an accommodation could be granted. From now on, it would have to respect equality between women and men. 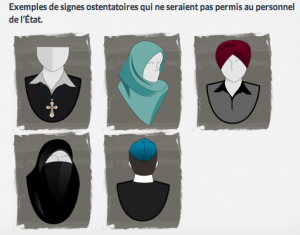 These modifications would result in the affirmation of Québec society’s values. We propose to establish by law a duty of religious neutrality and reserve for all state personnel in carrying out their duties. This duty would reflect the state’s neutrality and its independence from religion. Civil servants are already subject to such a duty with respect to their political opinions. Persons working for the state should abstain from promoting their religious beliefs while performing their duties. The Internet Killed off Reading of Books? According to an article from the Atlantic, The Next Time Someone Says the Internet Killed Reading Books, Show Them This Chart, reading has actually increased. Of course there are certain caveats pointed out by the Twitter community. 1) This chart does not establish that high-quality literature readers have increased. That is true. 2) There are a lot of factors that go into these numbersand variables that are unaccounted for. 3) The big spike is partially driven by higher levels of higher education attainment. 4) Perhaps the quality of books has fallen, even as the number of readers has grown. For more, see the article listed above. 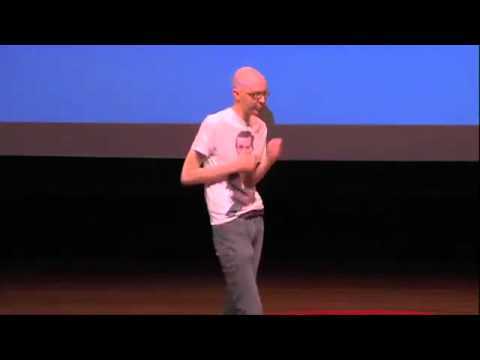 At the Personal Democracy Forum 2011, Jim Gilliam, shares his personal life story about startups, spirituality, and why the Internet is his religion.